For a more detailed guide on making moonshine, use the link below to see our how-to article. Alternatively, check out our article on how to make vodka. 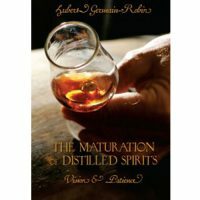 We have collected recipes ranging from rum mash recipes, rum distilling recipes, rum moonshine recipes, corn whiskey recipes, and rum mash recipes for anybody interested in learning the fun hobby of home distilling. We sell everything from stills to distillers yeast for making the best homemade moonshine. 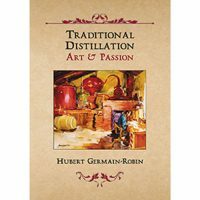 We also sell books to learn the fun hobby of home distilling and over 600 products. With over 14 years experience building and selling distilling supplies I’m sure you will find everything needed for home distilling on our web site. 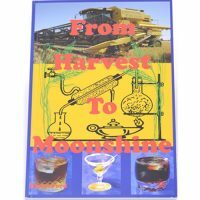 Since the start of Mile Hi Distilling back in 2003 we always offered free moonshine recipes to learn this fun hobby. One of the best distiller we sell is the duel purpose 8 gallon, it can be used for both pot or reflux distilling. The Grainfather Brewing System is another excellent unit we carry if you’re looking for more convenience. 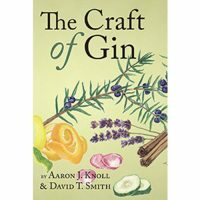 The dual purpose still can be used with any moonshine recipe on the internet or the books we sell have great moonshine recipes. 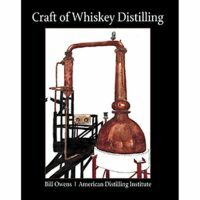 We sell about 17 different books for home distilling with moonshine and whiskey recipes. 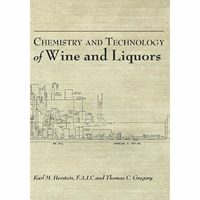 Mile Hi Distilling as the largest and the best selection of distilling books on the internet. 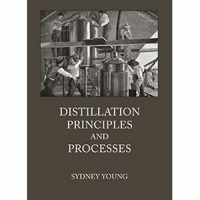 We have books that cover about every aspect of distilling from recipes to building your own still. 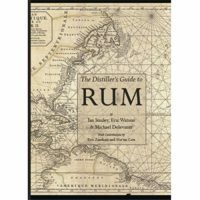 Check out our instructions on rum mash recipes, rum distilling recipes, rum moonshine recipes, corn whiskey recipes, and rum mash recipes. In making “Mountain Dew” or “White Lightning’” the first step is to convert the starch of the grain into sugar. (Commercial distillers use malt.) This is done by “sprouting” the corn. Shelled, whole corn is covered with warm water in a container with a hole in the bottom. Place a hot cloth over it. Add warm water from time to time as it drains. Keep in a warm place for about 3 days or until corn has 2 inch sprouts. Dry it and grind it into meal. Make mush (or mash) with boiling water. Add rye mash that has been made the same way, if you have it. Yeast (1/2 pound per 50 gallons of mash) may be added to speed up the fermentation if you have it. Without it, 10 or more days will be required instead of about 4. In either case, it must be kept warm. When the mash gets through “working” or bubbling up and settles down, it is then ready to run. At this stage, the mash has been converted into carbonic acid and alcohol. It is called “wash” or beer and it is sour. 6.5 Gallon Recipe Put enough feed to cover bottom of 8 gallon fermenter bucket, a good 5 inches deep. Add 6 pounds of sugar. Fill 1/2 fermenter full with boiling water. Mix until sugar is dissolved. Mix the rest and finish filling with warm water until you get to 6.5 gallons of mash or 3″ of head space in fermenter. Add the yeast after it has cooled to the recommended temperature of 75F to 80F. Cover with lid and use airlock. 5-6 days later it’s ready to distill. This recipe is an old one that works well. Run it at 150-160 proof. Filter the mash before distilling to remove solids and sediment or it will stick to the bottom or to the heating elements and burn giving off flavors. Suggest to run it through a plated or reflux still once or if using a pot run it through the still twice. 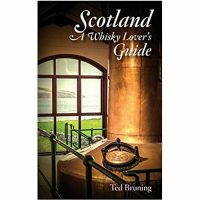 One stripping run then a spirit run with a pot still. If using a pot still you will want to ferment enough volume to yield enough to run a stripping run. Estimated 4 fermenters with this sweet feed recipe then stripping run to yield around 3-4 gallons of low wines then dilute down with water to 50% before running spirit run. age on some oak for a few months to really bring in the character. 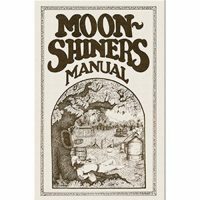 I thought you might like this moonshine recipe to enable you to Make Whiskey at home.The ingredients are malt, sugar, yeast and rain water. You can buy the malt from most big supermarkets, if they don’t have it they will probably order it for you. The brand names for the malt and yeast can be Blue Ribbon, and Red Top. The malt is a liquid and comes in a can, the yeast comes in cakes. To every can of malt you will add 5 gallons of warm water, disolve 5 pounds of sugar and add 1 cake of yeast. Mix all this together in a barrel made of plastic, stainless steel, or copper, under no circumstances use aluminum. Keep it covered with cheese cloth to keep the bugs out. Keep it in a warm place till it ferments. Then you can cook it off in your still and you have the smoothest whiskey you have ever tasted. After you run off the whiskey, it is clear like water. You can color it by taking a piece of dry fruit wood (or maple), burn the fruit wood over a flame till it is blackened, then drop the burned fruitwood in your clear whiskey. In a few days the whiskey will be the color of store bought whiskey. This is a simple rum recipe that will win the blind taste test up against the top rated bottles of rum that you find on the liquor store shelf. Nothing on the shelf can beat a handcrafted small batch rum recipe. Heat up 2 gallons of water to boiling then slowly mix in sugar until dissolved then add one cup of honey. After sugar is dissolved then add molasses then top off to 6.5 gallons. Move contents into an 8 gallon fermenter. When temperature is under 80F and over 70F add in one packet of Mile Hi Rum yeast. Stir in the yeast and save a little to sprinkle over the top. Put the lid and air lock on and let sit for 24 hours then mix for several minutes then put the lid and airlock back on and let it sit for 8 days. Keep at between 70F-75F for optimal fermentation. After fermentation is complete sit the 8 gallon fermenter on a counter top and siphon the wash out from the top of the fermenter through a strainer with cheesecloth into another clean bucket. Leave the heavy sediment on the bottom so don’t siphon this out. Then siphon filtering through cheesecloth one more time then the wash will be ready to distill. We suggest to use a pot still to distill your rum. Pot stills will carry over flavor. Run the still real slow at about 140-160 proof to get a clean rum spirit. 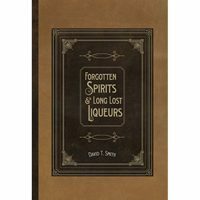 Depending on the still design some distilleries will run the rum recipe through a stripping run then through a final spirit run at 160 proof. Leave it as is for white rum. Add oak chips or oak spirals to glass jars and let age for a couple months. Put rum in a used whisky barrel and age for several months. This has become popular with distilleries and makes a unique rum. Now that you’ve created a great spirit, check out these great rum cocktail recipes and enjoy! Rye Whiskey recipe by law is made from a mash that has at least 51% rye. The other ingredients that are usually found in a rye whiskey recipe are malted barley, wheat and corn. 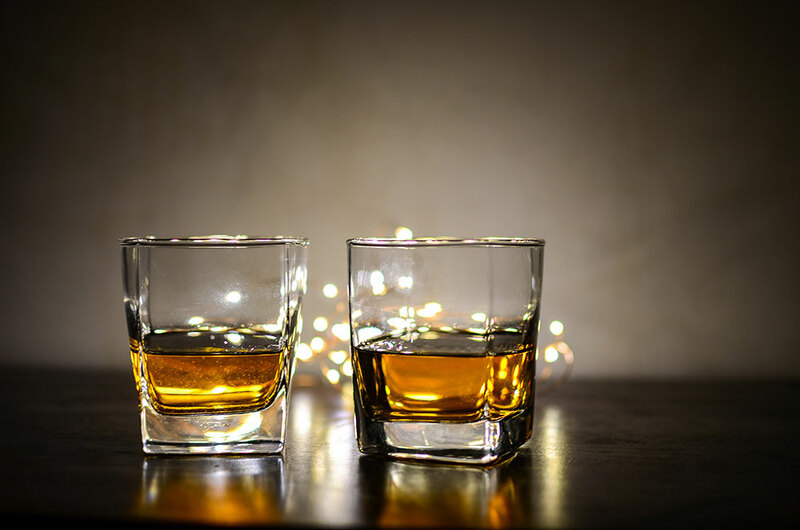 Although the law requires a rye whiskey recipe to have at least 51% rye most traditional rye whiskey recipes have more like 80% rye to give rye whiskey that spicy or fruity flavor to the whiskey. Heat water to 70 degrees and then mix in malt barley, malted rye and flaked rye. While stirring the mixture slowly heat to 160 degrees (raise temperature 5-10 degrees every 2-4 minutes). Keep mixture at 160 degrees stirring constantly for 1.5-2 hours to convert starch into fermentable sugar and dextrin. Filter off liquid and place into fermentation device and allow to cool to 70- 80 degrees. Immediately pitch one packet of whiskey yeast. Stir liquid for 1 minute then cover and seal with a airlock. After fermentation is complete pour into the still, filtering it through a pillow case or strainer and cheesecloth to remove all solids. Distill rye whiskey at no more then 160 proof. Distilleries will usually do a stripping run then spirit run to produce a quality rye whiskey. After distillation rye whiskey distilleries will proof down to 125 proof and put in a new whiskey barrels for two years. Alternative to whiskey barrels can be oak chips and or oak spirals for the hobbyist. place and keep moist for about ten days. When the sprouts are about a 1/4″ long the corn is ready for the next step. Wash the corn in a tub of water, rubbing the sprouts and roots off. Throw the sprouts and roots away and transfer the corn into your primary fermenter With a pole or another hard object mash the corn, make sure all kernels are cracked. Add 5 gallons of boiling water and when the mash cools add yeast. Seal fermenter and vent with a water sealed vent. Fermentation will take 7-10 days. When fermentation is done, pour into the still filtering through a pillow case to remove all solids. Peach moonshine recipes that are simple and user friendly. A good peach moonshine recipe starts with quality peaches. Use peaches from your local farmers market or fruit stand. Support your local farmers and the fruits of their labor. We have listed a couple ways to make simple peach moonshine recipes. Remove pits and mash up the peaches in a 10 gallon stock pot then add 6 gallons of water. Put over heat until temperature comes up to 150F then add sugar. Keep stirring so solids don’t stick and burn to the bottom. After sugar is completely dissolved turn the heat off and let the mixture cool to 80F then put in fermenter and add yeast. Use an air lock on fermenter and ferment 5 days. Estimated ABV should be 12%-15%. Strain and distill through a pot still. Keep a quart of your sugar peach mixture in the fridge to flavor back after distillation. Throw in a cinnamon stick for the peach cobbler taste. Have fun and mix it up to make your own signature peach moonshine recipe. put 5.5 gallons of 110F water into your fermenter and add 18 lbs of sugar. Stir until dissolved. Let temperature of sugar water come down to 80F then add one packet of 48 Hour Turbo Yeast. Let ferment for 5 days then distill through a reflux still to make high percentage neutral spirit. Blend peach juice, peaches, spices, sugar and vodka or neutral spirit to flavor. Clear Peach moonshine recipes that are simple and user friendly. A good clear peach moonshine recipe starts with quality peaches. Remove pits and mash up the peaches in a 10 gallon stock pot then add 6 gallons of water. Put over heat until temperature comes up to 150F then add sugar. Keep stirring so solids don’t stick and burn to the bottom. After sugar is completely dissolved turn the heat off and let the mixture cool to 80F then put in fermenter and add yeast. Use an air lock on fermenter and ferment 7 days. Estimated ABV should be 12%-15%. Strain through brew bag or strainer then through cheesecloth. Distill through a pot still. Pot still will carry over flavor well and the product will come out clear just like a peach brandy but it will be a clear peach moonshine. 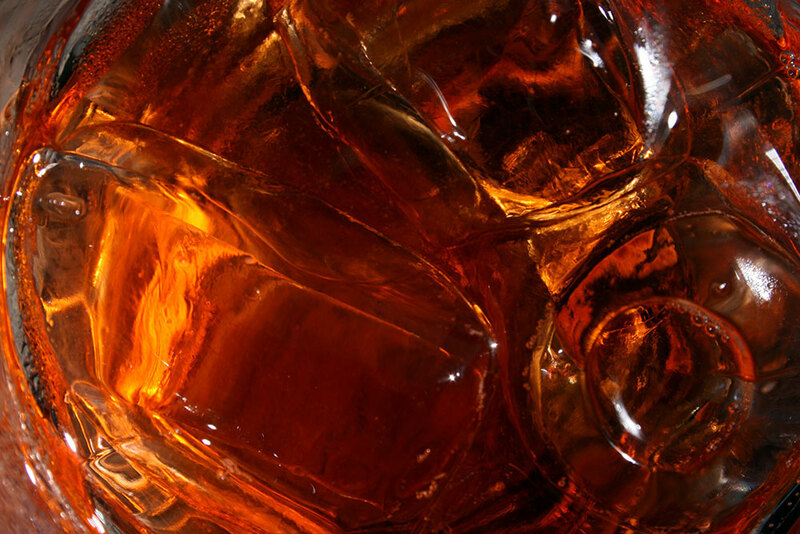 First make a homemade rum by following our rum recipe on our moonshine recipes page. After following the rum recipe and making a rum then follow the directions below on how to make a coconut rum. This is coconut rum recipe to make a quart jar of coconut rum. Drill a hole in the end of the coconut and drain water into a container. The coconut water can be filtered through a coffee filter and chilled to be enjoyed later as is. We won’t be using the coconut water for this recipe. After the coconuts are drained then put them in the oven for 15 minutes at 300F. Then remove coconuts from the oven and let sit until the coconuts cool to room temperature. This will cause the coconuts to get brittle and make it easy to break them to ultimately get all the white raw coconut meat. Break the shells off the coconuts using a hammer and use a vegetable peeler or grader to get the brown skin off so what is left is raw white coconut meat. Wash the coconut meat to remove any dirt or particles from breaking the shells. Put the coconut meat in a food processer or blender or you can use a cheese grader. Chop / blend the coconut up into small pieces finely graded. Put this in a bowl ready for later use. Put 2 cups of water in a pot on the stove and turn on the heat to bring up to a boil. Add 1.5 cups of sugar stirring continuously so it does not caramelize. After sugar is dissolved then turn heat to a simmer and add 2 cups or more of the raw white coconut meat that has been finely graded. Let this mixture simmer for 3 minutes stirring continuously so nothing sticks and burns to the bottom. Take this mixture of sugar, water and coconut meat and fill two of the one quart mason jars 1/3rd to 1/2 full. Top off with white rum then put on the lid and this mixture will stay macerating or soaking for 3 weeks. Shake the jar at least once a day for three weeks. Keep in a cool dark place. After three weeks of this mixture soaking then strain through cheesecloth or fine strainer into a mason jar. Keep in the refrigerator ready to enjoy. Put 1.5 cups of water in a pot on the stove with 1 cup of sugar and bring to a boil stirring continuously so the sugar dissolves in the water. Add 3 TBSP of key lime juice or lime juice. ¼ tsp of vanilla extract and ½ tsp of coconut extract. Let simmer for 3 minutes then cool to room temperature. Pour contents into a one quart mason jar and top off with moonshine neutral spirit or vodka neutral spirit. Refrigerate then enjoy. Put 1.5 cup of water in a pot on the stove with 1 cup of sugar and bring to a boil stirring continuously so the sugar dissolves in the water. Add 4 TBSP of Lemon juice. 2 TBSP of coffee creamer ( powdered, regular flavor ). Squeeze ½ fresh lemon into the mixture. Let simmer for 3 minutes then cool to room temperature. Pour contents into a one quart mason jar and top off with 140 proof moonshine neutral spirit or vodka neutral spirit. Should end up at about 80 proof. Remove pulp from lemon and twist rind into the jar and leave in the jar. Place in the freezer, shake before drinking. A nice summertime treat. This recipe can be easily adjusted up or down with creamer and or sugar to get the taste you like. 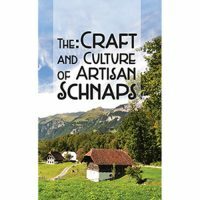 Experiment to create your moonshine recipes. It is legal to own a moonshine still or alcohol still, but illegal to produce and sell alcohol without a proper license.